Calling all little monsters! 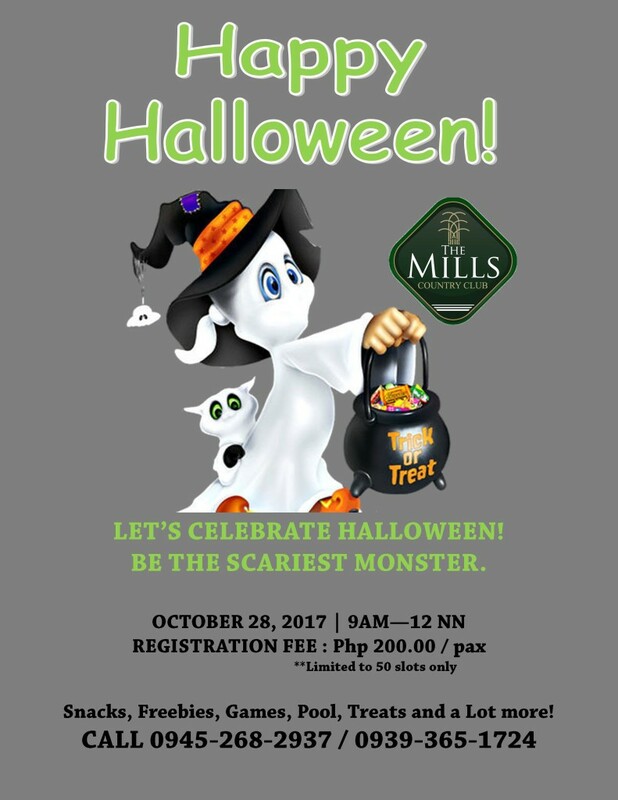 Halloween celebration will be on Saturday, October 28, 2017 at The Mills Country Club. To Reserve, Feel free to send us a message thru email: ncorpuz@themillscountryclub.com.ph | Facebook Page: www.facebook.com/TheMillsCountryClubInc/ | Instagram: @Themillscountryclub or Call us at (0945) 268-2937.